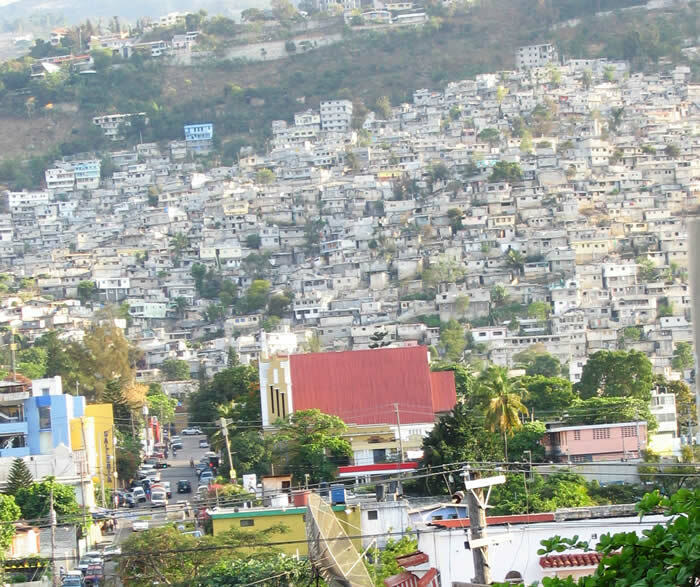 Here is a picture of the city of Petion-Ville in Haiti. The city of Petion Ville is located on the outskirts of the capital city, Port au Prince. The city, founded in 1831, was named after former president Alexandre Petion. Previously a suburban area to the east of Port au Prince, Petion Ville is now the centre of tourism and commerce in the area. Also a residential area especially for the affluent class of the society, it can be regarded as the wealthiest city in Haiti. Many international banks, hotels and embassies are located in Petion Ville. In 2010, an earthquake measuring 7.0 on the Richter scale hit the area, disrupting the progress of the city. The city has gradually recovered from the damage caused to the trade, commerce and infrastructure. The social life of Petion Ville is not far behind in any respect. Besides a very active night life in the presence of various bars and casinos, a number of top class restaurants, boutiques and art galleries can be found in here. 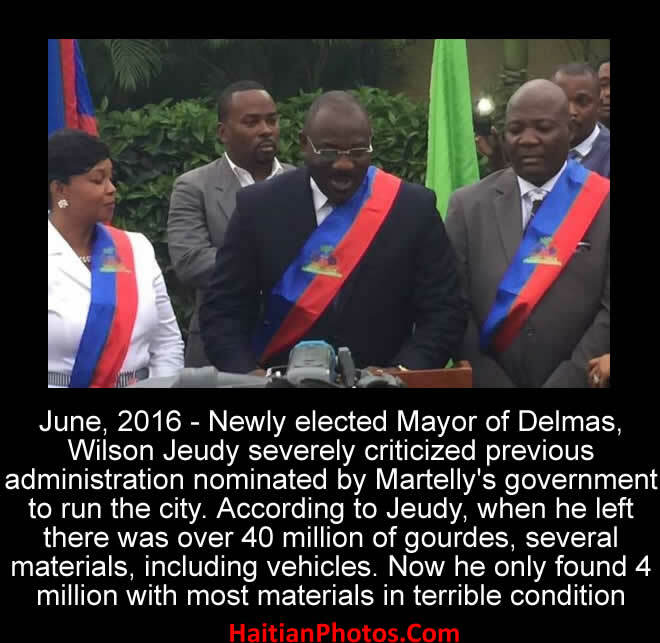 June, 2016 - Newly elected Mayor of Delmas, Wilson Jeudy severely criticized previous administration who were nominated by Martelly's government to run the city. According to Jeudy, when he left there was over 40 million of gourdes, several materials, including vehicles. Now he only found 4 million with most materials in terrible condition. Wilson Jeudy was the elected Mayor of the Municipality of Delmas. 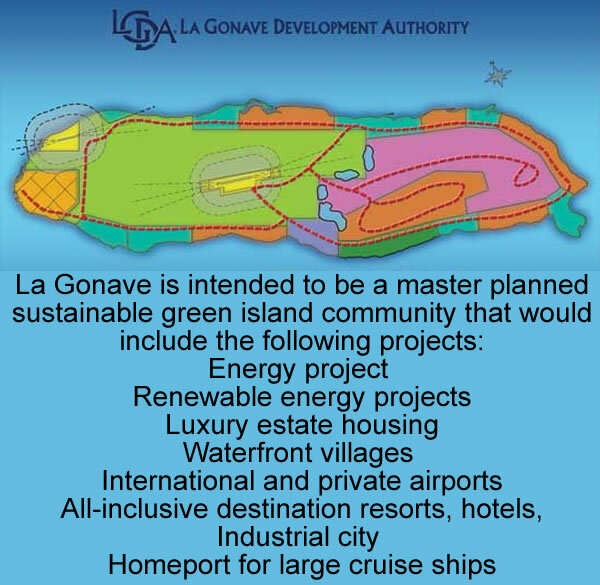 He once proposed to build a prison on the island of Gonâve where Ministers, MPs would find their final resting place. About five years ago when he was the Mayor before, his main priority was to help the population and to achieve that he even dreamed of becoming the President of Haiti. He was a presidential candidate in the 2010-11 election and received 6076 (or 0.57%) votes. He was born in Gonaives on October 10, 1963. Jeudy is a devoted Christian, a Law school graduate and minored in Psychology and Sociology (Human Relations). As a Mayor, Jeudy has a long list of achievements in development and constructional works like construction of markets, schools, roads, theatre halls, palaces and many others. Before the last election, he was issued his certificate of discharge by the Superior Court of Auditors and Administrative Disputes (CSC/CA), certifying his management of public funds as the Principal Mayor of the Municipality of Delmas as well as the deputy mayors and other accounting of public funds. Recently, in June 2016, when he was re-elected as the Mayor of Delmas, he severely criticized the previous management of Delmas under Martelly administration for mismanagement of municipal fund. He said when he left there was over 40 million of gourdes in the municipal exchequer and several assets including vehicles. Now he found only 4 million gourdes in cash equivalents and rest of the assets in terrible condition. Here is the picture of a Haitian slum. According to the World Risk Index (2014) of the United Nations University, Haiti is the most vulnerable country in the Latin American and Caribbean region. It is regularly facing every possible kind of environmental alteration resulting regular migratory flows, making people environmental migrant. Environmental factors have a great impact on global migration flows, because people are forced to leave their home region due to sudden or long-term changes to their local environment with harsh or deteriorating conditions. Climate change, environment and migration are all interrelated. Environmental degradation and disasters generally cause migration and movement of people can also cause significant effects on the surrounding ecosystems. Frequent droughts, cyclones, hurricanes and floods in Haiti have caused significant impact in one of the most fragile environments in the world. Half of the residents of the Haitian capital city were not born there. Haiti is very much vulnerable to climate change; it needs to increase its ability to foresee and control the effects of climate change, while integrating the associated migration risks. 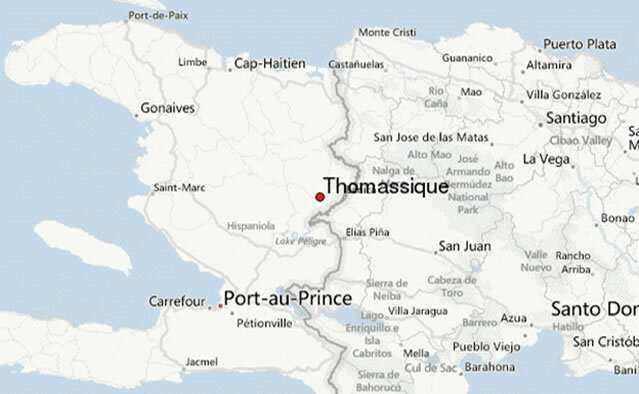 Here is the city of Thomassique in Haiti. Thomassique is a city located in the Central Plateau; it is the home of about 100,000 people. "St. Joseph Clinic", is the first medical clinic here, built by the 'Medical Missionaries' in 2006. It is presently one of the best health facilities in this region of Haiti. This clinic is a sign of hope and respect for the local people. Here most people live on subsistence farming. The inhabitants of Thomassique have an average per capita income of $700 (it is $40,000 in U.S), their average life span is 61 years (in U.S, it is 78 years), 40% homes in the city and 15% in the outlying villages have water in front of their homes and the rest depends on public fountains, known as "tiyos", which are unsafe to drink. There is no proper public transportation system in the city. Most families could not afford to send their children to school. In spite of hardship and challenges, people live a simple but cheerful and hopeful life in Thomassique. Here is the Ceremony handling housing keys to police officers in the area to dull the kid, ONA city area. The village project Ona-ville is located in the region of Morne-à-Cabri. If you want to reach there you have to cross some five kilometers clay, very powdery road to get to ONA-City in Morne-à-Cabri. The project was initiated by ONA back in 1997 during the period of President Rene Preval as a housing solution for public service holders. But, when it was inaugurated in 2003 during the period of Aristide, became a fiasco; very few people were interested to go there. Now, with the help of an MOU between the Haitian government and ONA ((National Old-Age Insurance Office), the employees of Haitian National Police employees can find their long sought home with a low interest loan (0.50% per month) from ONA which would be deducted from their salary. Presently ninety, residential units in a 125,548 square meters area (1351388 square feet) have been completed in three categories: Type I: 221 Sq meters with five bedrooms, four toilets; Type II: 217 meters with four bedrooms, 3 toilets and Type III: is 196 meters with 3 bedrooms, 2 toilets. 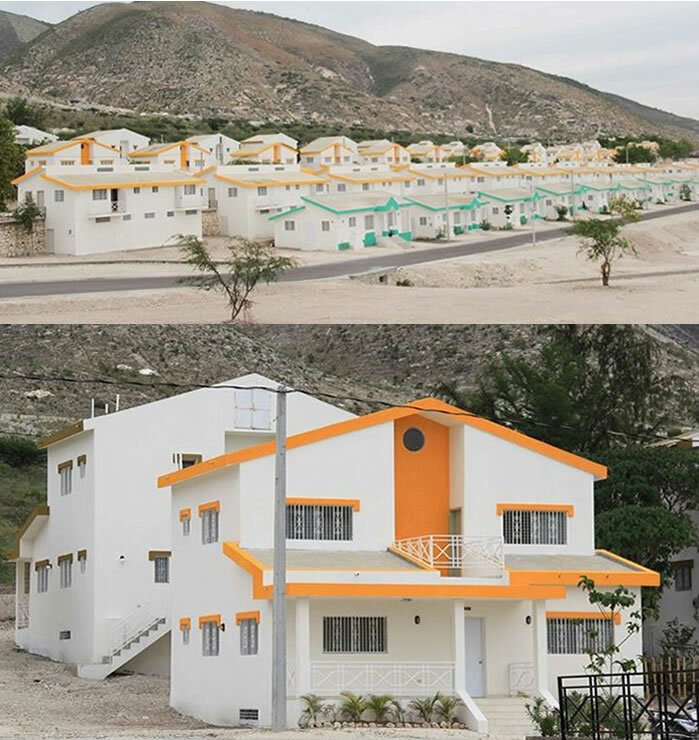 As per President Martelly's announcement 400 more units are under the planning stage. The completed ninety units have been inaugurated by the President on Thursday, November 26, 2015, in the presence of Prime Minister Evans Paul, Émmanuel Ménard, the Director General of the ONA and other important officials of the police, government, political and religious circles. The project has cost $18 million to ONA. 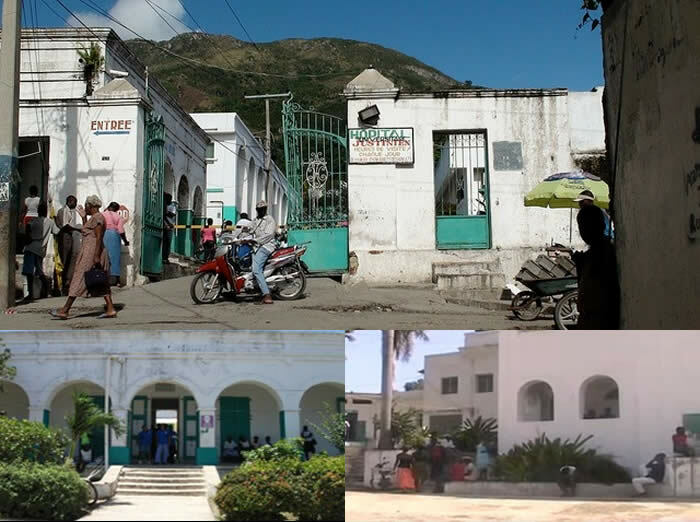 L'Hôpital Universitaire Justinien is the main hospital in the second largest Haitian city Cap-Haitien. 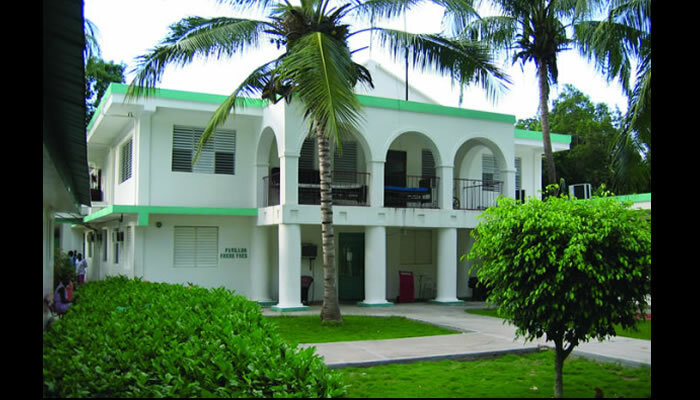 The hospital is named after a local magistrate Justinien Etienne who is credited for its foundation in 1890 as a hospice that was subsequently transformed into a hospital in 1920 during the occupation of the United States in Haiti. Today, it is a teaching hospital with 250 inpatient beds with training facilities for around 60 students in diverse disciplines such as family medicine, pediatrics, internal medicine, obstetrics/gynecology, general surgery, urology, orthopedic surgery, anesthesiology and otolaryngology. The hospital has a pharmacy, laboratory and radiology services for both outpatients and inpatients. With some financial supports from state and private organizations, the hospital provides some level of free medical care in addition to its fee-based services. 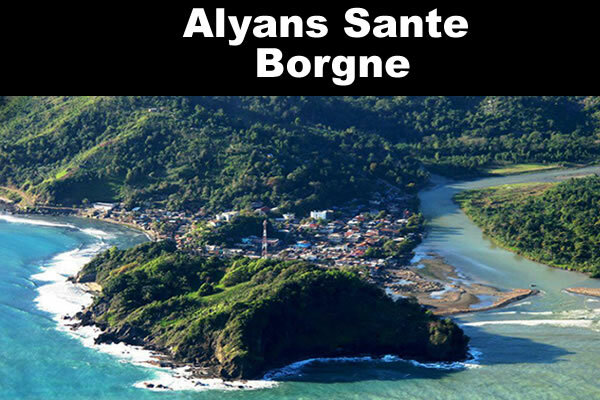 Before establishing the Alyans Sante Borgne (ASB) or Borgne Health Alliance clinic in 2006, the only clinic and laboratory for the people in Borgne was run by H.O.P.E (Haiti Outreach Pwoje Espwa). ASB was formed with the partnership of Haitian Ministry of Health under the management of H.O.P.E. Today, the hospital is functioning with 4 physicians, 70 staff and a team of nurses and other health workers and technicians who are mostly local born and have a bond of love for the organization. The hospital Alyans Sante is constantly striving to attain its primary goal to provide basic and preventive medicine to the entire community; however, they could not yet achieve that due to paucity of fund. ASB has developed specific programs on some of the major health risks at Borgne which are associated with childbirth, neo-natal, post-partum complication and child death. To extend their hands of assistance they have introduced mobile clinics in remote areas. Contact: ASB at Fond La Grange, Borgne, Haiti.